Travelaffare opened in Blackwood South Australia in 1998. Travelaffare’s owners Lyndall Young and Leonie Nelson are very proud of their strong reputation for excellent personal service, competitive pricing and attention to detail. With their many years of experience and extensive travel knowledge, Lyndall and Leonie are supported by a dynamic team of highly qualified consultants – Claire, Bec and Lesley who have a wealth of experience, skills and knowledge and are always happy to assist, offering over 90 years of combined travel industry experience. They are experts in efficient, hassle-free and best value travel. Whether you are travelling for business or pleasure, they believe it should always be an enjoyable experience and when you book with them, you know you are in the safe hands of a trusted travel agent that is highly regarded and supported by travel suppliers including airlines, wholesalers, touring companies, cruise lines and the like. Travelaffare is a proud member and supporter of the local Adelaide Hills community. They maintain a strong community profile through their active support of local sporting and service groups. They enjoy being a travel agency that values traditional customer service with the benefits of operating in modern times. 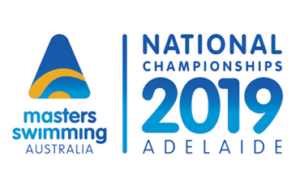 To book your travel to Adelaide for the National Championships please call Travelaffare on 08 8278 7470 or email travel@travelaffare.com.au. The accomodation below is available for the individual to book for themselves. Take 20% off our best nightly rate at BIG4 West Beach Parks and Resort from 18 – 23 March 2019. West Beach Parks is located only 10kms SA Aquatic and Leisure Centre at Marion and offers spacious grounds to host you and your support crew whilst visiting Adelaide for this event. Please book before by 31st December 2018 to gain access to this offer. 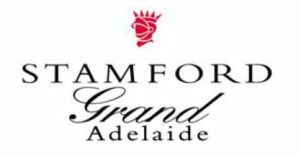 We are delighted that the Stamford Grand Adelaide has been chosen to host the Masters Swimming Champships Dinner Accommodation in March 2019. Our excellent facilities, superb location, high standards of service and welcoming atmosphere will ensure that your guests will have a most memorable and enjoyable stay. We are pleased to confirm we have set up an ’empty accommodation block’ for your group. All guests will be entitled to 10% Off the Fully Flexible Room Only Rate at the time of booking on the 18th to 24th March inclusive. The rate on either side of this date will be subject to availability at the time of booking. Please Note: This discount is not available on hotel packages, promotions or already discounted rates. Please note that as no rooms are actually being held aside for this group, rates are subject to availability at the time of booking. To receive this discount, guests will need to Call Reservations and quote the code MAS220318 at the time of booking. Guests will also need to provide a valid credit card number in order for us to confirm their reservation. All bookings will have a 24 hour cancellation policy. At Quest on Franklin, they take great pride in offering a personalised service, quality accommodation and making sure you have everything you need for a comfortable stay – in your home away from home. The spacious and contemporary apartments are ideally suited to families and groups with flexible bedding configurations of king split beds featured in all room types. The addition of a sofa bed in the living area can be provided in 1, 2 & 3 bedroom apartments for an additional fee of $45 per night. 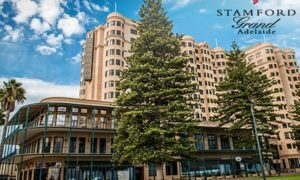 Centrally located in Adelaide’s business district, Quest on Franklin is walking distance to key attractions like the Central Markets, Victoria Square, Rundle Mall and the Adelaide Convention Centre. You’ll be spoilt for choice with Adelaide’s largest selection of restaurants on nearby Gouger & Waymouth Street. The open plan studio apartment makes a great alternative to the traditional hotel room. 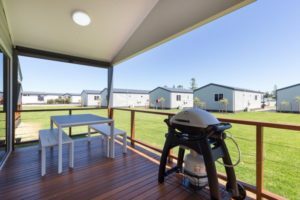 The kitchenette provides the perfect facilities for a short term stay including a 2 burner cook top, microwave and bar fridge. Complimentary use of the ground floor laundry is available 24 hours. The spacious one bedroom apartment provides a comfortable living and dining space separate to the bedroom which makes it ideal for a longer stay. The well-appointed kitchen features an oven, cook top, microwave, dishwasher and full sized refrigerator. A private laundry is available within all one bedrooms with the exception of one bedroom access apartments (complimentary laundry facilities are available on the ground floor). The generously proportioned two bedroom apartment offers space and flexibility. The well-appointed kitchen features an oven, cook top, microwave, dishwasher and full sized refrigerator. Your choice of one bathroom with shower over bath or two bathrooms with walk-in shower only ensuites – subject to availability. Second LED TV in the master bedroom, private laundry within all two bedroom apartments. The three bedroom apartment offers plenty of space and features full kitchen facilities plus a second moderate kitchenette. A private laundry is located within the main bathroom along with a shower over bath. The second ensuite bathroom features a walk-in shower. Additional LED TV’s in the second and third bedrooms. 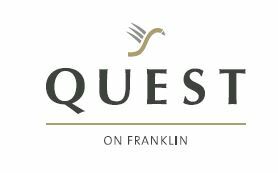 Car Parking: Quest on Franklin has secured discounted car parking rates with an adjacent car park at $24.00 per 24 hours. Please ask at reception for a permanent pass to receive this discounted rate prior to parking. Limited loading zone parking is available on Young Street & Franklin Street as a pick up and drop off area. Breakfast: Fully cooked breakfast is available for $18 per person at two of our local chargeback restaurants. Continental in-room breakfast packs are available for $12 each.